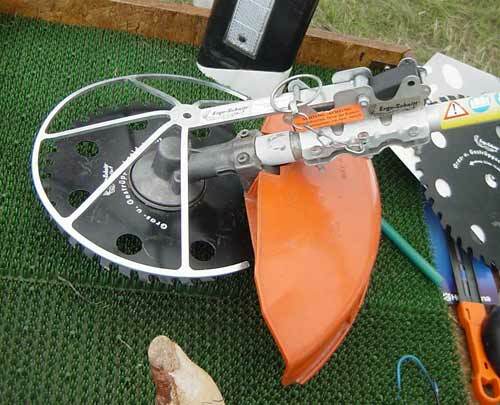 This device can be mounted on any brushcutter. If you work in open areas, the protection can be folded back and being locked using a cotter pin. Thus, you can trim on walls, road barriers, fences, borders, etc. without damaging them. 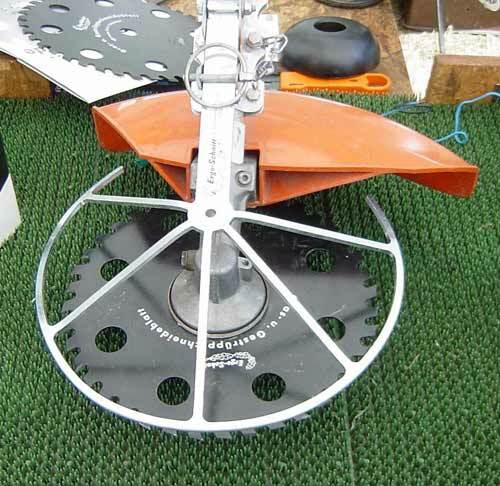 This protection can be used while using string or line head, grass blade, metal brush cutting head etc.. The sawblade shown for brushcutters is available for 15.00 Euro.